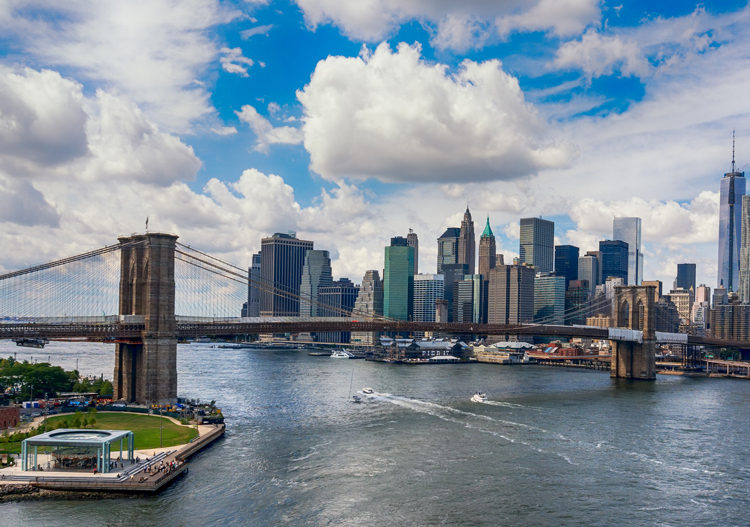 New York — Sam Schwartz Consulting, LLC opened its City Strategies service area to help cities and public agencies turn their visions and policy goals into reality through improved organizational effectiveness, more strategic use of data, and improved communications and messaging. Mike Flynn, AICP, an award-winning planner and veteran of the New York City Department of Transportation, is Director of the new area. He is supported by Ben Rosenblatt, AICP, CFA, an Associate with a background in strategic and management consulting, along with a broader team of planners, data scientists, and graphic designers. Building on Sam Schwartz’s approaches to traditional planning and engineering, which have helped a range of cities develop and implement mobility solutions, City Strategies adds a suite of new services focused on supporting cities as they increasingly seek to transform their transportation systems and built environment in support of 21st-century goals such as economic reinvestment, social equity, climate action, and long-term resiliency. City Strategies provides targeted assistance at all stages of urban change: from setting a clearly-defined vision to reorganizing agency structures and processes to better deliver on that vision, from tracking progress through performance dashboards to savvier use of data and communications to educate and engage a diversity of stakeholders and ultimately build consensus around change. Even before City Strategies formed, cities with a well-earned reputation for pushing the envelope were already benefitting from the work of the team. In Seattle, Sam Schwartz diagnosed and recommended targeted improvements for its Department of Transportation and worked closely with the agency to develop the $1 billion Move Seattle plan, which was approved convincingly by the city’s voters in 2015. Transit riders on Toronto’s King Street now have faster, more reliable commutes thanks to City Strategies’ work on the King Street Pilot Project, Toronto’s first major “quick-build” project, which dramatically prioritized transit on the highest-ridership streetcar route in North America. The Los Angeles Fire Department was so impressed with the eye-catching plan Sam Schwartz did for the city’s Department of Transportation, that it hired the firm to do its fire safety plan. New York’s Metropolitan Transportation Authority trusted Sam Schwartz to manage the Second Avenue Subway’s community outreach process and ease public fears that had built over nearly a century to get the new line opened. Prior to joining Sam Schwartz four years ago, Flynn, an expert planner across all transportation modes as well as infrastructure planning and sustainable design, worked for a decade at New York City’s Department of Transportation, where he contributed to numerous initiatives that set the city on the course to more sustainable transportation and redesigned streets, from nuts-and-bolts project development and design to strategic planning, performance management, and leadership of a group responsible for developing — and streamlining the delivery of — a billion-dollar program of transformative capital street improvement projects. Flynn and his Sam Schwartz colleagues’ ground-breaking work laid the foundation for New York City to reach its “80 by 50” commitment through reducing greenhouse gas emissions 80 percent by 2050 in the city’s transportation sector. This analysis provides New York marching orders for a cleaner transportation system, via a variety of strategies across multiple policy clusters, and just received an award from the American Council of Engineering Companies of New York. The team identified a universe of strategies and developed a technical model to illustrate the potential GHG reduction impacts of many actions, viewed through a lens of policy changes, mode shift, and technological change. The work encapsulates the City Strategies approach: partnering with cities to convert visions and goals into clear, well-communicated, and implementable action steps. Rosenblatt, City Strategies’ Associate who managed the day-to-day execution of the team’s 80×50 engagement, is leading the strategic planning and consulting arm of City Strategies, and has worked with city leadership in jurisdictions nationwide to develop comprehensive strategic plans, action plans, organizational assessments, and other targeted recommendations, drawing from his prior experience as a business valuation consultant. Other key City Strategies support comes from Yana Chudnaya, Kate Sargent, John Reinhardt, Stacey Meekins, Alex Hanson, and Po Sun. The team has footholds around the country within Sam Schwartz’s offices from coast to coast, and benefits from the skills and resources of 120 engineers, planners, graphic artists and other staff in all Sam Schwartz offices, while delivering innovative and customized strategic consulting, analysis and communications for clients worldwide.